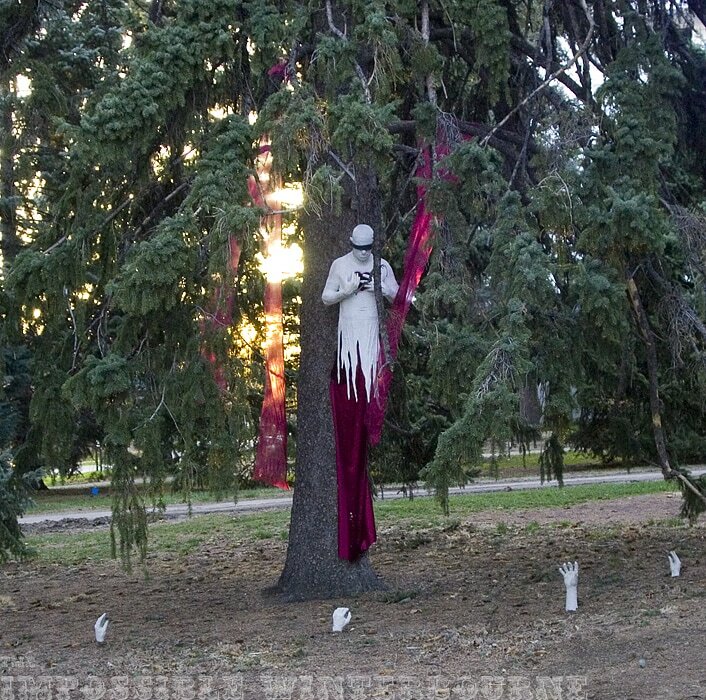 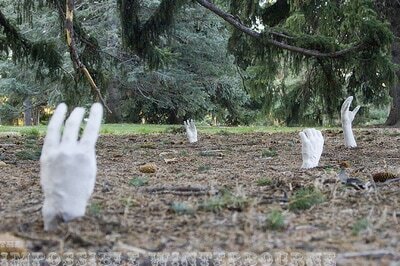 Cheeseman Park in Denver, CO was at one time a graveyard for the beggars, thieves, the disenfranchised, and poor. 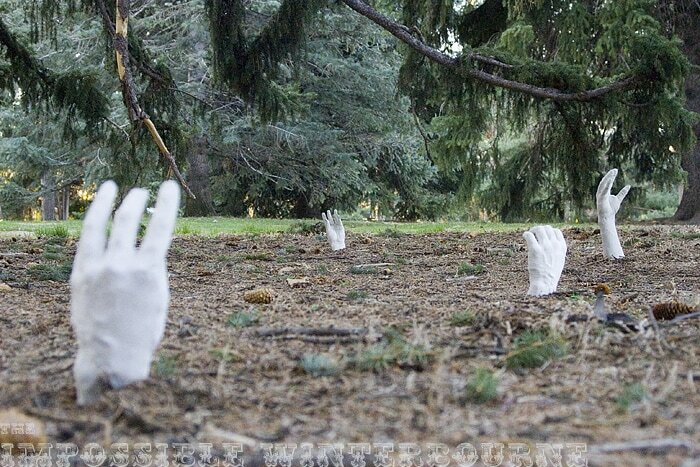 Even today it is known as a haunted place. 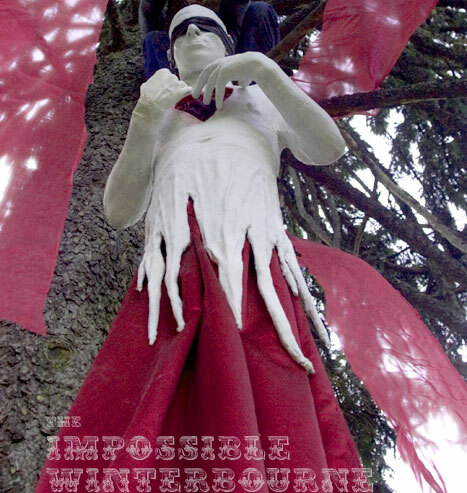 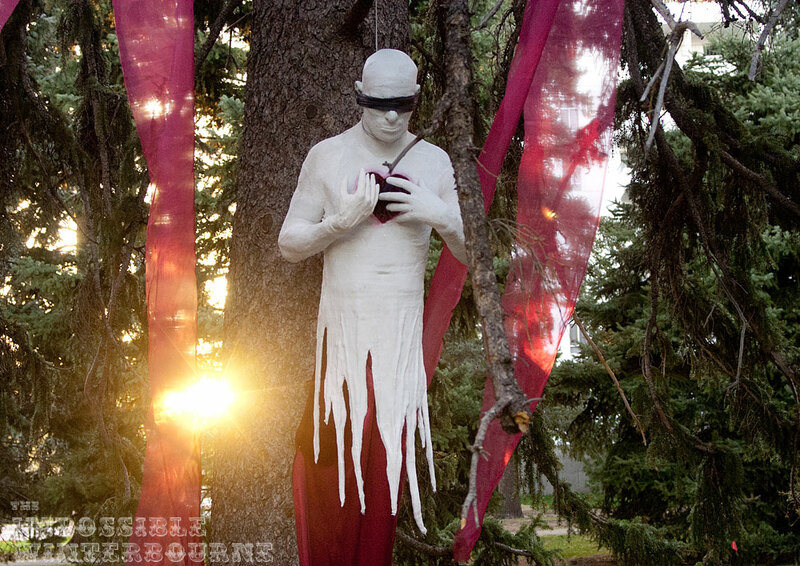 The Impossible Winterbourne's first major sculpture installation in Denver found its home in this park, and is called "The Cheeseman Park Specter." 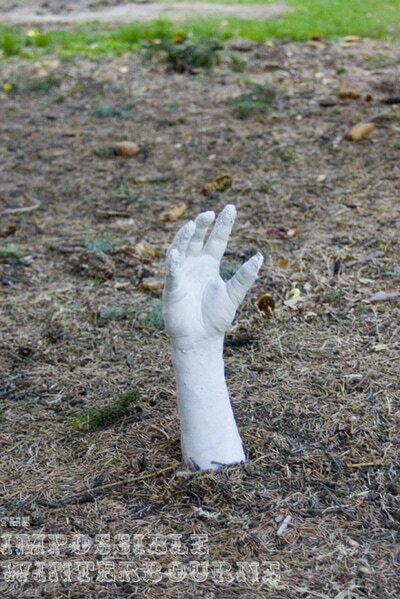 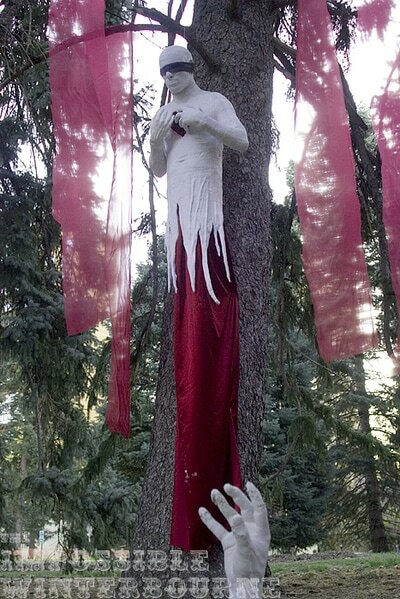 It featured a life sized figure suspended from the trees surrounded by hands of the dead breaking through the ground below. 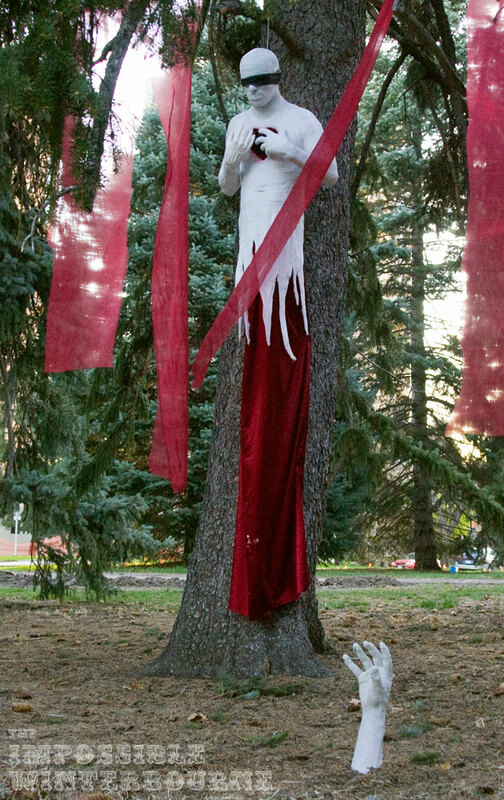 This installation lasted two glorious days.